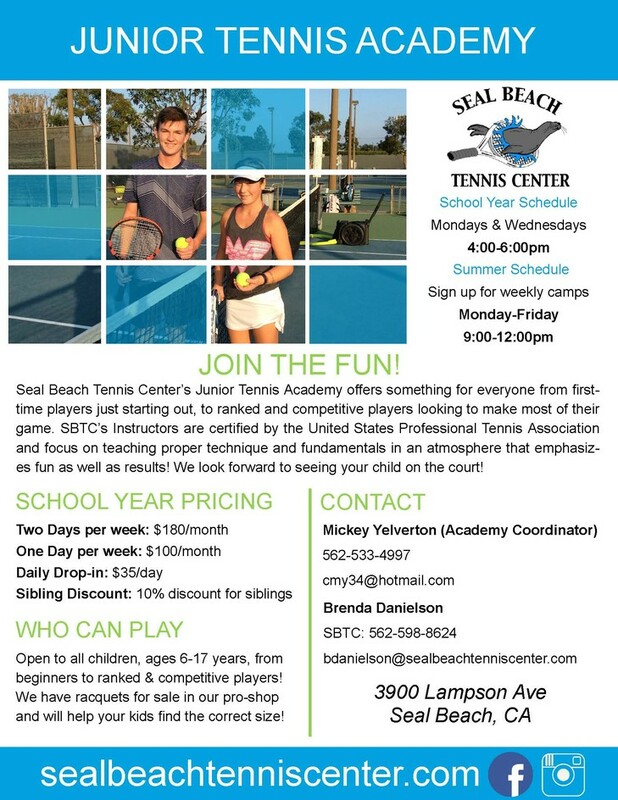 The Seal Beach Tennis Center offers a wide variety of tennis programs for all ages and interests. We continually update our tennis facility and programs for our members and the general public. Recently we added Cardio Tennis and Pickleball to the Seal Beach Tennis Center. The SBTC offers tennis programs ranging from beginning group lessons, to private lessons, to Junior Tennis programs. You can participate in leagues & team play, summer camps, special tournaments and events. 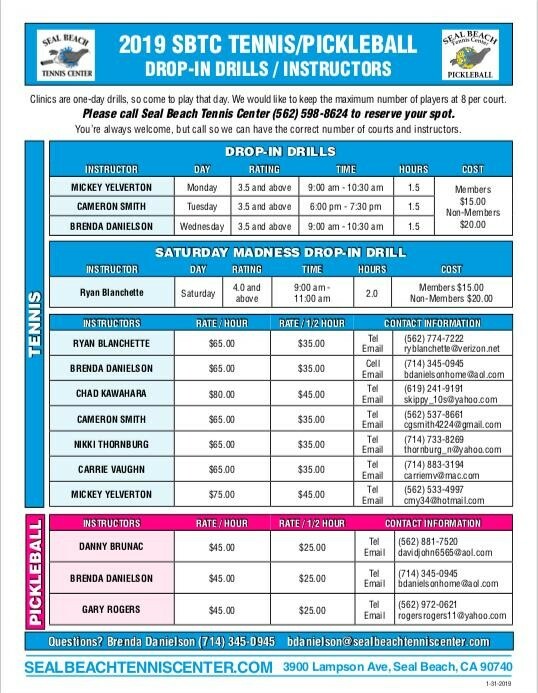 Please click on any of our Tennis Programs for more information. Please click here to visit our Calendar of Events for SBTC! 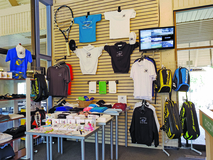 We carry a full range of equipment in the Seal Beach Tennis Center Pro Shop. This includes a large variety of Babolat tennis racquets for adults and juniors, demo racquets and accessories. The shop also offers stringing with a one-day turn around stringing service. Stop by for all your tennis needs. The SBTC now has 4 Pickleball courts! Pickleball is one of the fastest growing sports in America, it combines parts of badminton, tennis and table tennis. Played on the size of badminton courts and using paddles made of wood or composite materials, a wiffle-type ball is used, and you can play singles or doubles! Tennis, racquetball and ping pong players love the sport! Join the fun today! Pickleball Memberships are available for only $55/month all inclusive! Try Pickleball at the Seal Beach Tennis Center!